Prague Districts: Žižkov – part II. At first sight, Žižkov is not one of the most child-friendly neighborhoods in Prague, although a fair number of expat families have set up home in the neighborhood or nearby. Air quality can pose a problem, as well as busy streets, and the housing stock comprises only tenements. However, these drawbacks are mitigated to an extent by easy access to the center and plenty of green space. The park at Parukářka, for example, contains a number of play areas, including the extensive Vrch sv. Kříže I site, which has new equipment. 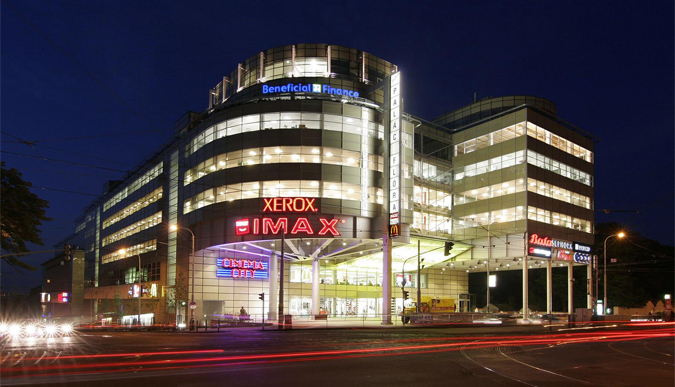 Palác Flora shopping mall includes an IMAX 3-D cinema, and in terms of theater and music, Palác Akropolis is a legendary Prague cultural space and a local landmark. The venue prides itself in being a “centre of independent culture offering unique music, theatre and art projects”. Akropolis also includes a restaurant with a quirky interior. 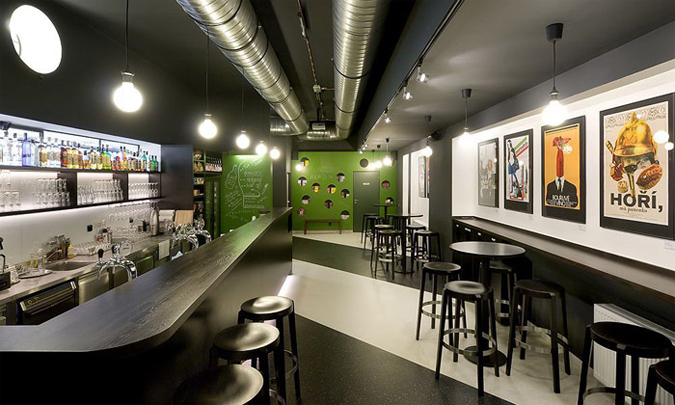 The ever-popular independent cinema Kino Aero, on Biskupcova, screens two (or more) films daily and includes a newly-renovated bar. A short distance from the TV tower is a concert venue and exhibition space that few seem to be aware of. The Atrium na Žižkově, a restored Baroque church of unusually modest proportions, is a fitting setting for classical music concerts. From a distance, the TV tower (Televizní věž), the Czech Republic’s tallest structure, still manages to look as if it was built yesterday; close up, you’ll notice that the black objects scaling it are not giant flies but faceless babies created by the ever-controversial artist David Černý. Although ideological reasons were behind the tower – it was constructed to jam West German television pre-1989 – and a Jewish cemetery was largely destroyed in the process, you have to admit that the structure is unquestionably impressive, as are the views over the capital. Unfortunately, they always seem to be somewhat marred by grubby windows. Žižkov is becoming an increasingly important destination for fans of museums and galleries, particularly since the revamped National Monument (Národní památník na Žižkově) on the edge of Vítkov Hill opened fully to the public in 2009. The complex consists of a forbidding rectangular granite box and the enormous equestrian statue of Jan Žižka, also recently restored, immediately in front of it. Construction started in the 1930s, but only finished during the Communist era, which goes some way to explaining the ominously chilly atmosphere of the interior in both senses. The Communists planned to make the memorial the resting place of the “First Working Class President of Czechoslovkia”, the hated Klement Gottwald, who was to be embalmed, Lenin style, in this mausoleum. Unfortunately, things went badly wrong with the preservation process, and the leader was essentially turned into a dummy instead of a mummy. Until 2009, the building was only open on special occasions. Today, the space contains a fascinating and moving exhibition on modern Czech history, and hosts temporary exhibitions. In good weather, the roof of the building is open to the public, who can enjoy the superb views from this vantage point. Tucked away immediately below the National Monument is the Army Museum Žižkov (Armádní muzeum Žižkov), one of Prague’s most overlooked museums and one of trio of military museums run by the Vojenský historický ústav ČR. Shopping in Žižkov has become increasingly diverse in recent years, as mall shopping and international chains establish themselves alongside long-established locally-owned stores. The main shopping streets include Koněvova and Husinecká streets in the heart of Žižkov, and Vinohradská Avenue, on the Žižkov/Vinohrady boundary. Along all of these thoroughfares you’ll find many small, family-owned stores, including hardware shops, small bakeries and fruiterers and vegetable shops. Such stores are generally run by staff who really know their products (although they mostly only speak Czech) and are therefore good to know about if you need a particular item that may not be found elsewhere. On the other hand, if you’re looking for a mall, you’ll find one of Prague’s largest at Palác Flora, directly above Flora metro station (line A). The emphasis is on clothing and lifestyle shopping, and the mall also has a food court. There are no hypermarkets in Žižkov but you’ll find a small Billa supermarket on Koněvova Street and Albert supermarket at Palác Flora and on Olšanské náměstí among other places. Otherwise, Žižkov has a solid range of decent, reasonably priced neighborhood restaurants serving up increasingly disparate cuisine options. Established haunts include Wings, a “cross between an aeronautical museum and a pub”, the Highland Steak House, which despite its name, serves up Argentinian steaks, and Bíla Vrána and the bizarrely named Kuře v hodinkách, both of which offer mixed menus. The ever expanding Staropramen chain Potrefená husa has a presence on Vinohradská Avenue, whereas the popular Myslivna, specializing in anything hunted or shot, has closed. Žižkov is also a magnet for aficionados of Eastern cuisine, as expats make a regular beeline for Mailsi, a short but convenient climb from the Lipanská tram stop. The long-established eatery serves Pakistani cuisine, although the dishes are very similar to Indian dishes. Two tram stops away down the hill is Manni Indian and Pakistani restaurant, although many would argue that standards have plummeted there in the last couple of years. More expensive options include Hanil, which has a Korean/Japanese menu, and Fluidium, specializing in fish dishes. If you just want a cup of tea or coffee, the options range form the tiny Kaaba, a branch of the 1950s themed cafe to the international chains in Palác Flora. The restaurants and sweet shops on Vinohradská Avenue are also a possibility. In terms of elementary and high schools, there is no provision in Žižkov, although as elsewhere expat parents can send their children to the Czech primary and high schools in the neighborhood. The one higher education institution in the district is the University of Economics (VŠE), one of the Czech Republic’s largest universities. As its name suggests, it focuses on finance and business-related studies and accepts foreign students. 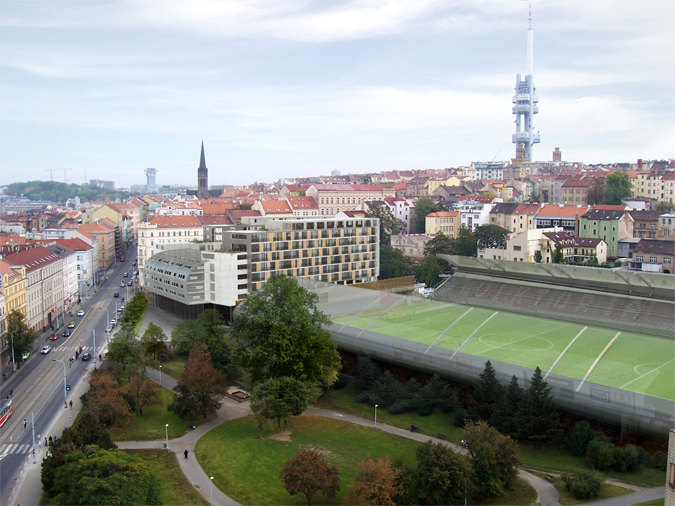 Given its small area, Žižkov has a limited but diverse range of sports and leisure facilities. Many expats use the BBC fitness center at Želivského on the edge of Prague 3. Facilities comprise among other things a very large gym, and spinning and boxing. The HitFit gym at Flora has squash courts, and tennis players can use the covered courts at Parukářka. No hospitals or clinics exist in Žižkov, although surgeries and dental practices are scattered around the neighborhood. When it comes to the latter, many expats recommend Dr Kounovská on Polská Street (strictly speaking in Vinohrady). The nearest hospital is Vinohradská nemocnice, close to Želivského metro station. Vinohrady (Prague 2) – part I., part II. Žižkov (Prague 3) – part I., part II. Nusle (Prague 4) – part I., part II. Smíchov (Prague 5) – part I., part II. Dejvice (Prague 6) – part I., part II. Holešovice (Prague 7) – part I., part II. Karlín (Prague 8) – part I., part II. Vršovice (Prague 10) – part I., part II. Prague Districts: Vinohrady- part II.